Tyson Foods, the leading poultry producer in the US, has announced it will drop the use of antibiotics used to treat humans in its products by September 2017. Profligate use of antibiotics on livestock have boosted concerns over superbugs in people. Tyson said it has reduced its "medically important" antibiotics -- used to battle bacteria in humans -- in broiler chickens by more than 80 percent since 2011. 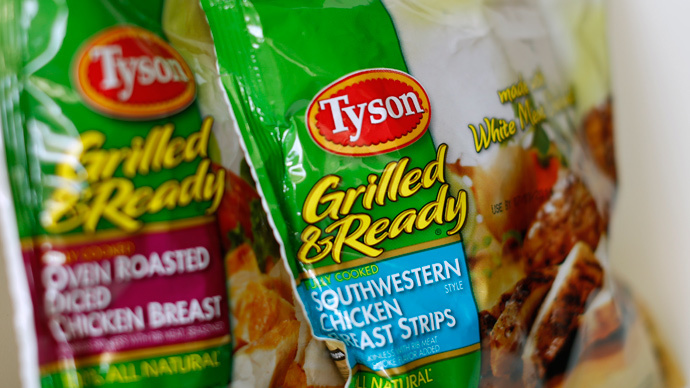 Donnie Smith, the Arkansas company's CEO, said it is now"realistic to shoot for zero,"though he added that Tyson would continue to treat sick chickens with antibiotics. "We are better off," Smith said. "We have found that not only have we been able to reduce the need for antibiotics, we have better performance along the way." 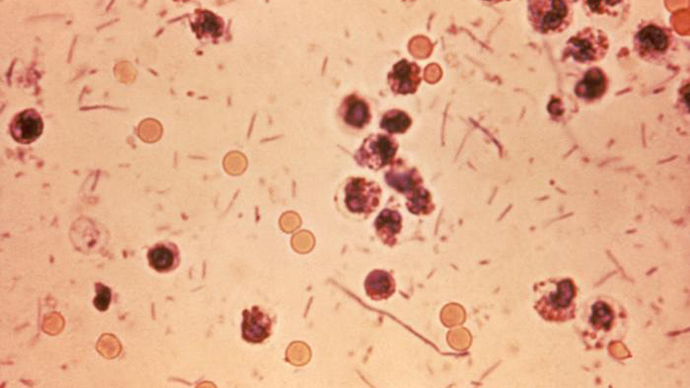 Antimicrobials are used to boost and accelerate growth in animals, as well as keep them healthy while penned up in barely sanitary industrial farms. Major US poultry firms have been carrying out this process for years. They give chickens antibiotics not only when they are unwell, but also when they are healthy. This practice has been administrated because it helps to promote faster growth and thus higher profits as largely volumes of poultry can be sold. A recent study published by the Proceedings of the National Academy of Sciences last month found that farmers around the world used over 63,000 tons of antibiotics to raise livestock in 2010 and projected the number will rise to over 105,000 tons by 2030. Concerns over superbugs that are driven by industrial agriculture's wanton use of antibiotics have led to other chicken producers and fast food companies to change their tune as of late. Perdue Foods, a leading competitor to Tyson, announced last September that 95 percent of its chickens were raised without medically important antibiotics. In March, McDonald’s announced it will stop buying chickens raised on human antibiotics within the next two years. Chick-fil-A, the largest restaurant seller of chicken in the US, announced in February 2014 it would phase out antibiotic-raised chicken over a period of five years. 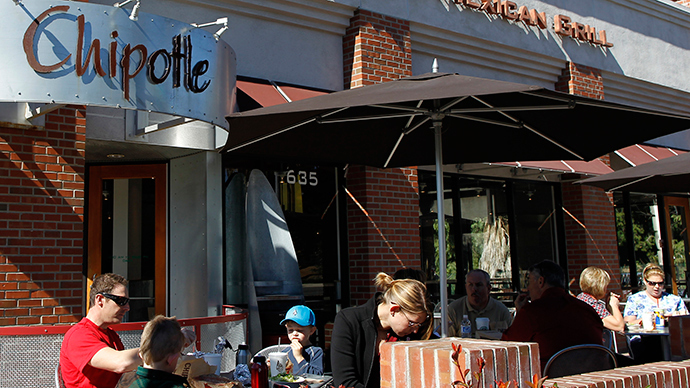 Chipotle and Panera already serve antibiotic-free chicken. Despite the concerns and surging interest in non-antibiotic meat, the US Food and Drug Administration's latest data on antibiotic sales within animal agriculture show a 20 percent increase in distribution of medically important antimicrobials from 2009 to 2013. In 2013, the Food and Drug Administration urged a change in the practice, alarmed by the rise of antibiotic-resistant bacterial strains. According to a US Centers for Disease Control and Prevention report from 2013, at least 23,000 Americans annually die from bacterial infections resistant to antibiotics. While discontinuing the drugs used to treat humans, Tyson said it would allow the use of ionophores – antibiotics not medically important to humans – to treat intestinal disease in chickens. "All of these guys are making commitments, and that is fantastic," Avinash Kar, senior attorney at the Natural Resources Defense Council, told Bloomberg News. "In the next couple of years, we might see a reduction. But how much of one is an uncertain thing." Tyson said it will seek to phase out medically important antibiotics in its pork, beef, and turkey products at an undetermined rate. Pig farmers use four times as many drugs as cattle ranchers, with poultry farms falling somewhere in between, according to the Proceedings of the National Academy of Sciences study. China, the world’s largest pork producer, is also the world’s biggest consumer of antibiotics in farming. The US comes in second, consuming 10 percent, while Brazil, India and Germany round off the top five. Another recent study found DNA from antibiotic-resistant bacteria is increasingly spreading from cattle feedlots across the US through the air. In most of the world, researchers say, there are few if any laws regulating the use of antibiotics in farming. The European Union has strict laws against growth-boosting drugs, but allows farmers to treat animals to prevent disease. In the US, farming accounts for 80 percent of all antibiotics used. 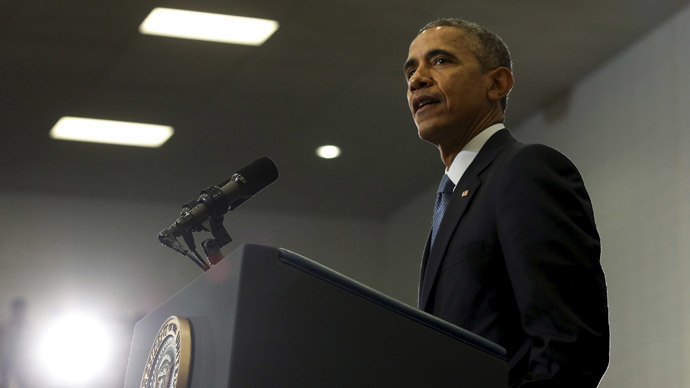 In March, the Obama administration unveiled a $1.2 billion plan to combat drug-resistant bacteria.